In our annual searches to create magical (and we’ll admit it, photo-ready) birthday parties for our children, the cake is key. And also, it’s so much fun. After all, we live in the age of The Great British Bake Off, Instagram, Cake Boss, Pinterest… you name it. It’s no surprise parents are going all-out on the star of the show: the cake. 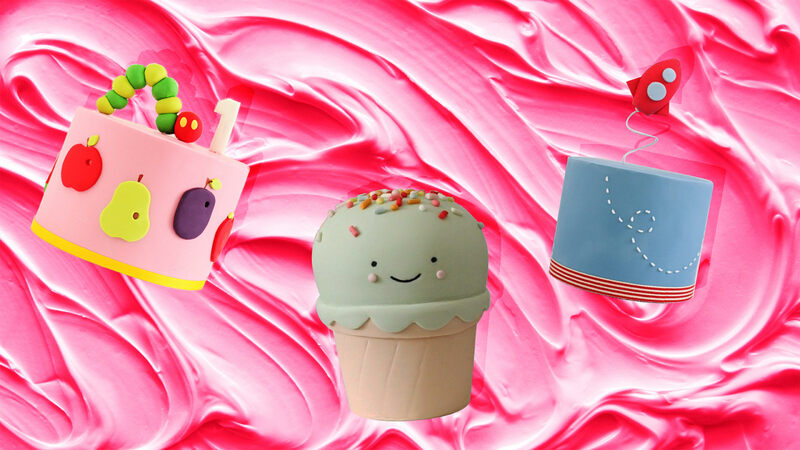 We searched Instagram for the trendiest confections sure to blow up your feed this spring. And boy, did we find some fun ones. These days, there’s a kids cake for every theme. My daughter, for one, had a Trolls-themed birthday party with a friend — and the rainbow sprinkle cake really made their day. But your kid doesn’t have to be a Trolls fan to have a unique and fantastically themed birthday cake. Whether they love dinosaurs, space, unicorns, succulents, mermaids or any combo thereof, you’ll find the perfect cool cake on this list. Below, Jennifer McCormick of Dearheart Confections and Nataly Stein of Southern California’s The Great Dane Baking Co. weigh in on some of their super-sweet cakes. “I mean, there’s just something inherently happy about rainbow sprinkles,” says McCormick. She’s not wrong. 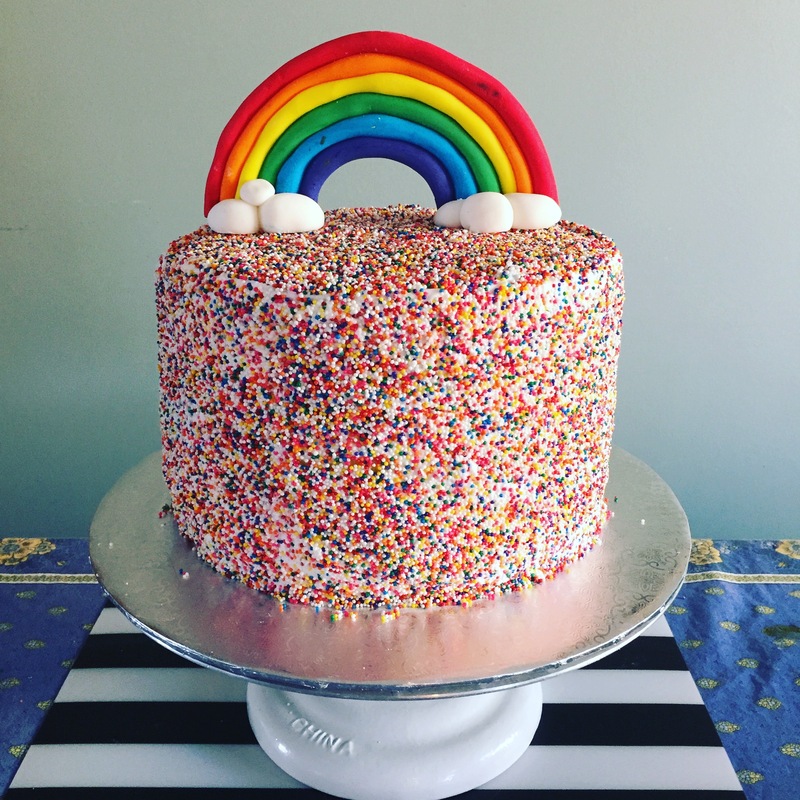 “A cake completely covered in sprinkles then cut to reveal a rainbow inside? Pretty magical and makes for good pictures,” she adds. Plus, you can easily add some Princess Poppy and Branch figurines for the perfect centerpiece to your trendy Trolls-themed party. 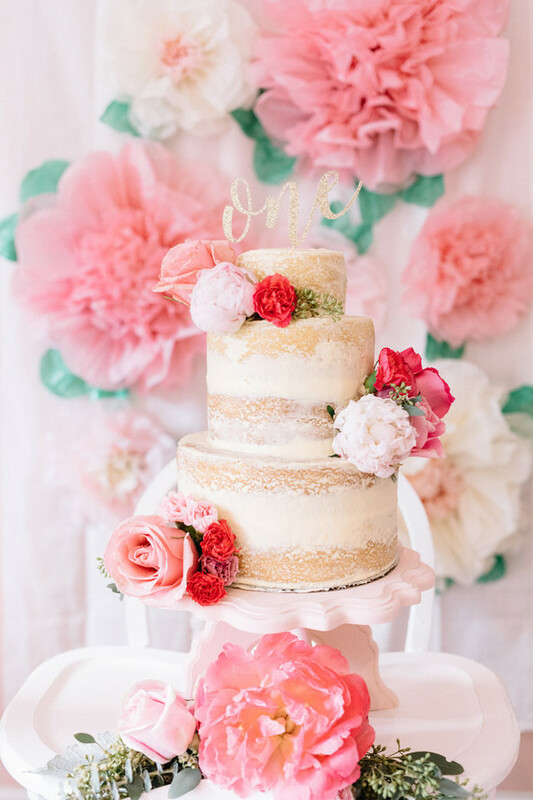 “Naked” cakes — where icing is intentionally left off — are big right now, and this sweet floral confection hits the mark. 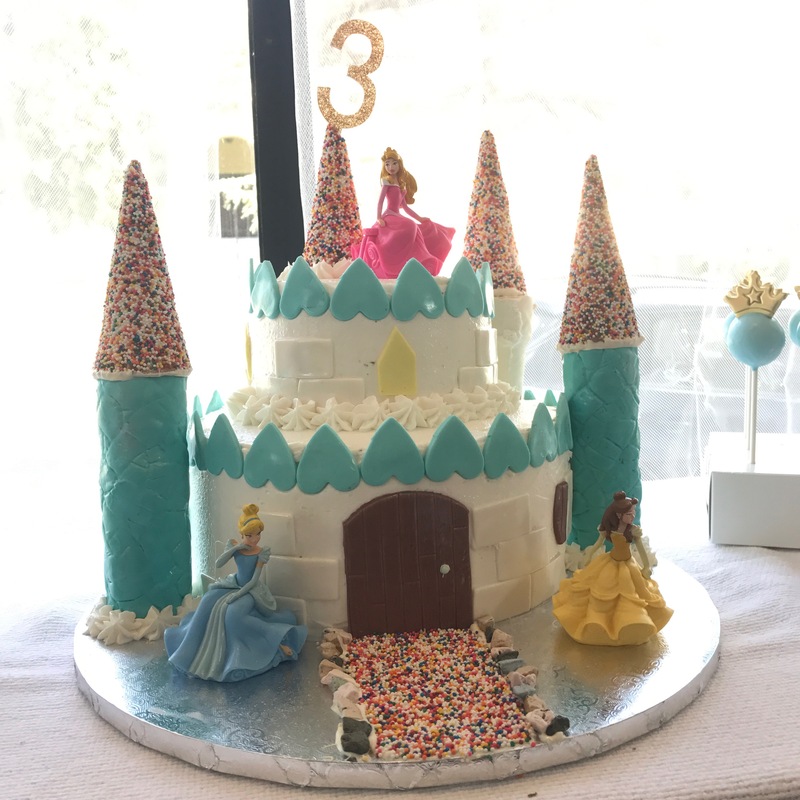 This one was made by lifestyle blogger Elle Bowes for her daughter’s first birthday. Toppers are from Presto Party and Tender Love Cardstock. 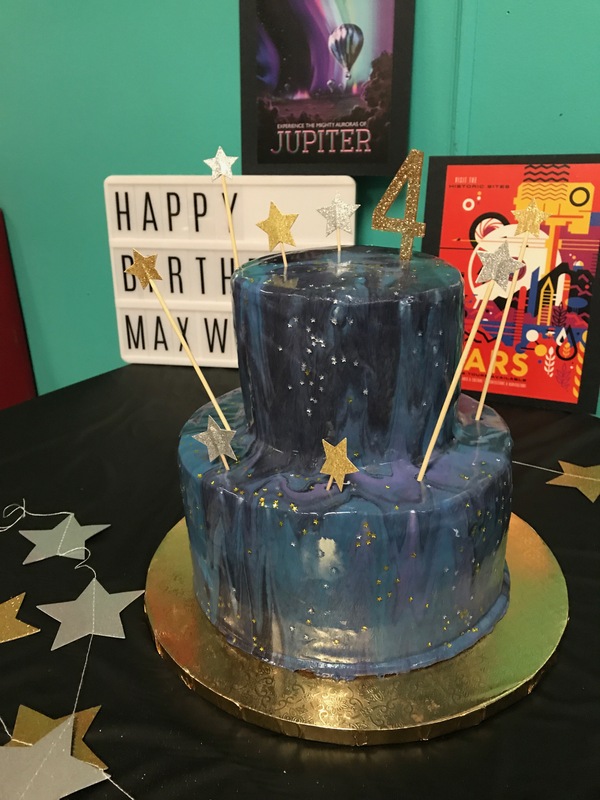 “This cake combines two current cake trends: outer space and a mirror glaze,” says McCormick of this beauty. The interstellar confection is perfect for a Star Wars party or any super-cool intergalactic event. Sure to be a hot choice this summer, the trendy drip cake takes a delectable turn with an added ice cream cone topper. This hot-pink number from Juniper Cakery is pretty much perfect. 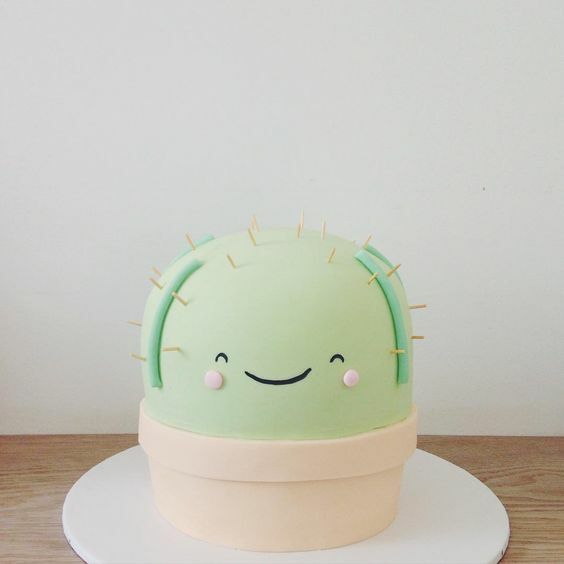 This adorable cactus cake from Hello Naomi specialty cake shop is simple and sweet. That succulent’s smile is just too cute! Plus, the pastel color palette is very on trend. Check out the Australian confectioner’s Instagram account for more cuteness: @hellonaomicakes. Unicorn cakes are all over social media these days; you might say they’re having a moment. “What’s great about the unicorn cake is that just the head makes such a statement,” says McCormick. “You can just get the 6-inch head and mane (and supplement with cupcakes or other party-friendly treats) or you can get the body of the unicorn as well. 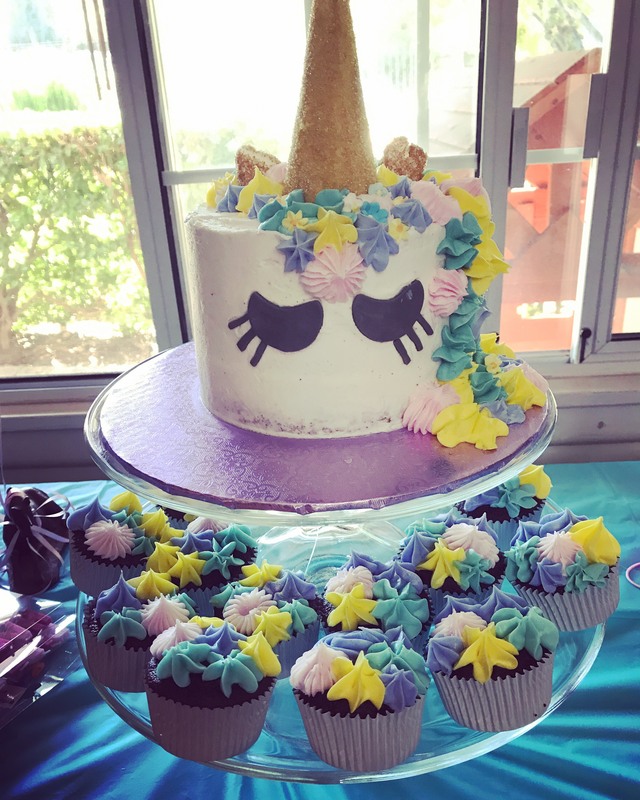 I’ve made this cake for 5-year-olds as well as 40-year-olds.” Because who doesn’t love unicorns? Image: Great Dane Baking Co. 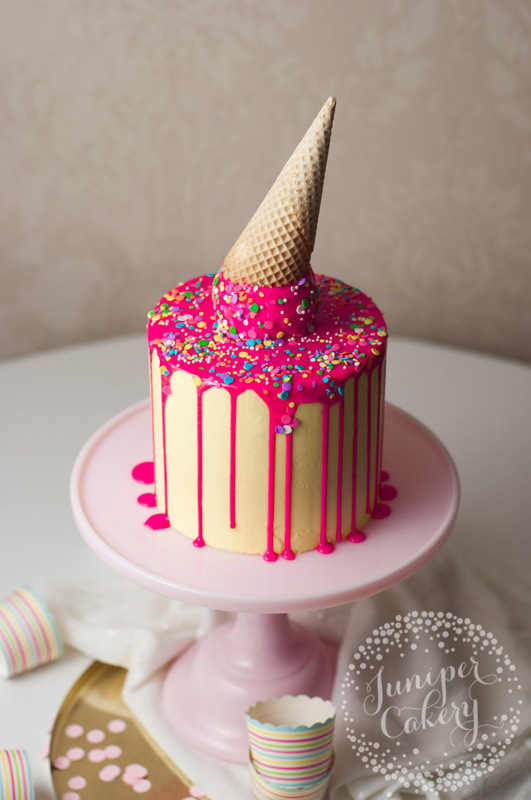 This genius cake combines two popular birthday themes: unicorns and mermaids. 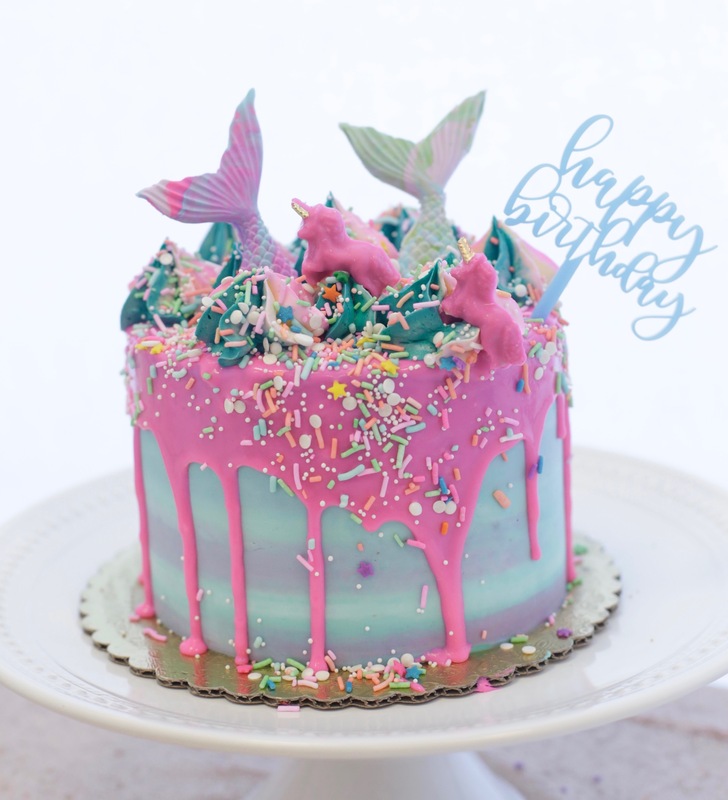 “The mermaid-unicorn cake is a fabulously popular cake because it truly incorporates everything fun and magical,” enthuses Stein. “It’s clearly super-colorful, which grabs attention, and covered with candy, mermaids and unicorns. Parents and kids love it for its edible glitter and Lisa Frank-ish qualities, which so many of us grew up with. These ones are specifically sold with a tie-dyed inside and strawberry-lemon mousse. So everything outside and inside is magic.” Pretty much. Follow Stein’s incredible work on her bakery’s Instagram account, @greatdanebakingco. Dinosaurs are in right now (JK — pretty sure they’ve been in for thousands of years). 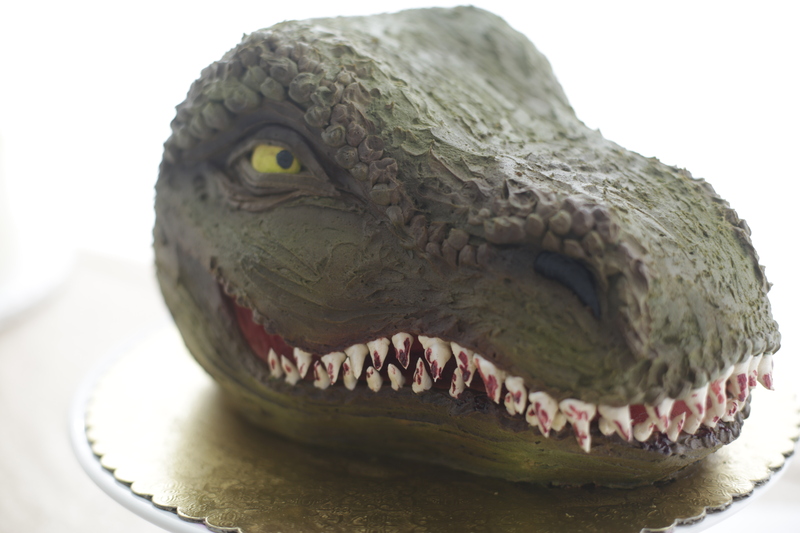 Great Dane Bakery Co. can deliver a sweet cake for your little dino lover. “The coolest thing (I think) about these cakes is that they are made entirely of buttercream,” says Stein. “The general public hates the taste of fondant, but usually appreciates what we can manipulate it to do. However, for this cake, it is all sculpted, shadowed and decorated with buttercream, and that I have to believe is quite impressive.” You are correct; it is definitely impressive (and a little scary, TBH).